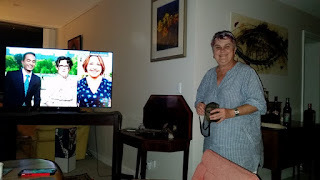 We are currently visiting Rob and Denny in their swish new apartment in the centre of Newcastle and reliving our trip starting almost this time last year to the far northern parts of Qld. The views from their penthouse apartment. and here we are sitting on the balcony soaking up the view and the atmosphere. 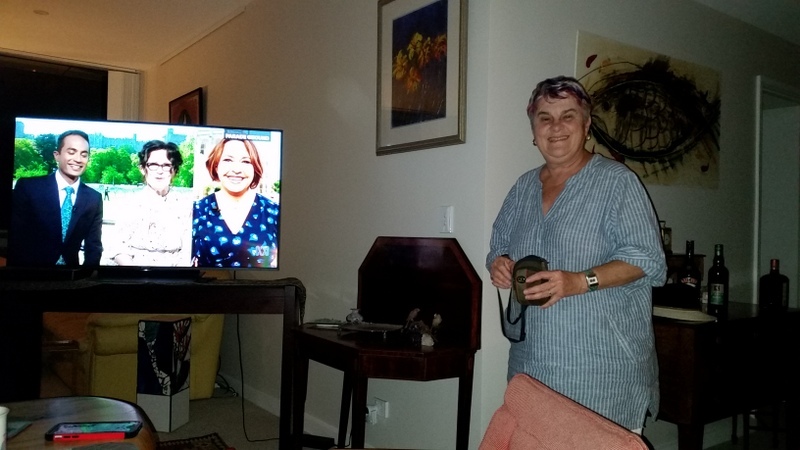 In the evening, after dinner, we settled down to watch the royal wedding. 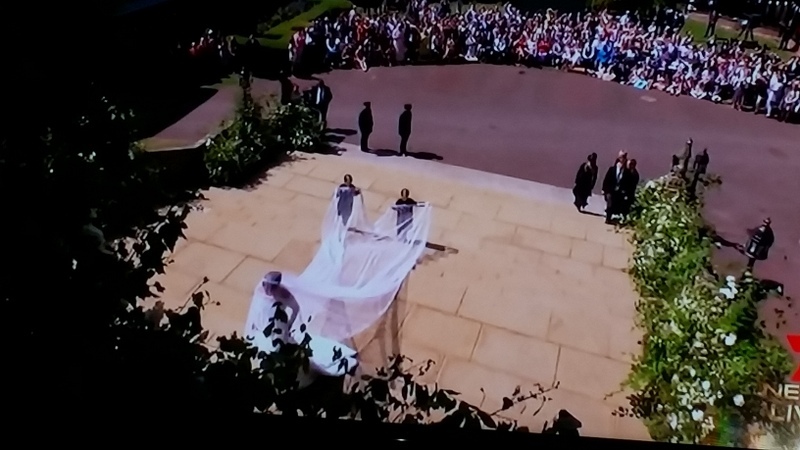 Meaghen Markle's veil held up by two pages. Denny, Rob and Andrew, entranced by the spectacle. Ha ha - they are bemused by the black African preacher's rambling, high wire act during the wedding ceremony. Actually, it was a fun evening. It was really good to watch it all in convivial company. Denny did not want me left out of the blog photos so here I am with camera.